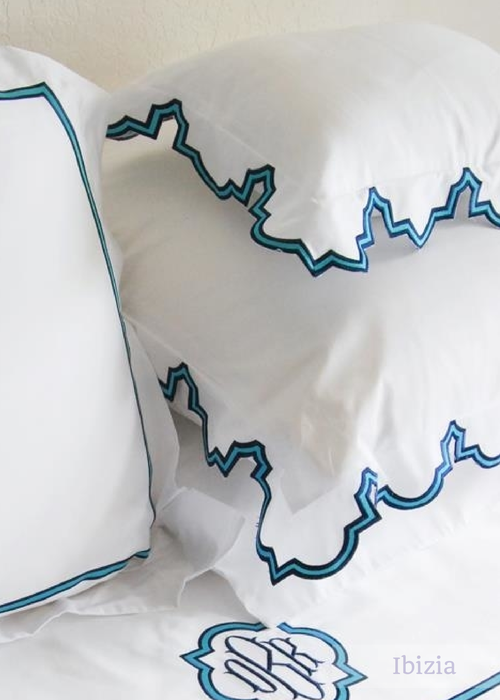 Stunning geometric embroidered cut edge design coordinating with oversized line border shams and sheets. 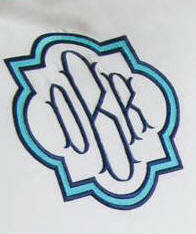 Embroidery color may be all one color for a tone on tone textured effect, or select two colors as shown. 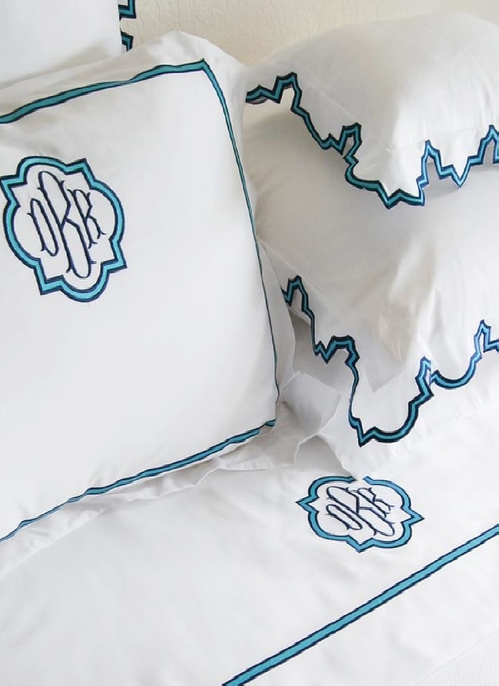 Shown here with the perfect matching Quatrefoil style monogram. Available on sheeting, duvet covers and pique coverlets and shams. Sheet Sets include 1 Fitted, 1 Flat and 1 Pair of Cases. Twin Sheet Sets include 1 Single Case. See Size Guideline Below. Deep Pocket Fitted Sheets.